Before leaving for Japan, I did an immense amount of research on things to see, places to go and, best of all, where to eat! You hear so much about sushi and ramen that you're eyes are trained to search them out when walking around the city. 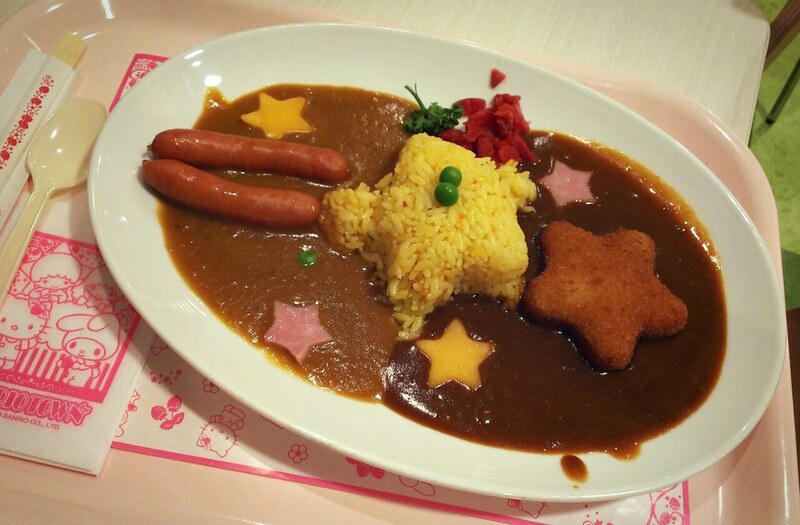 But for me, the most surprising dish that we tried over and over was Japanese style curry! You'll see it all over Japan. In bright, plastic models lining the windows of countless restaurants. A dark brown, gravy-like substance topped with cheese, fried foods and even eggs! Japanese curry is unlike any other curry we'd ever tried before. It's not like Thai, Indian or even English curries, despite its British origins. Japanese Curry was first brought to the country during the Meiji era (1868–1912) by the British. It was an easy to prepare dish since the main ingredients didn't require any refrigeration. But Curry didn't take off until the late 1960s. Throughout the years, the Japanese customised the dish for themselves, they changed the ingredients and made it unique Japanese. 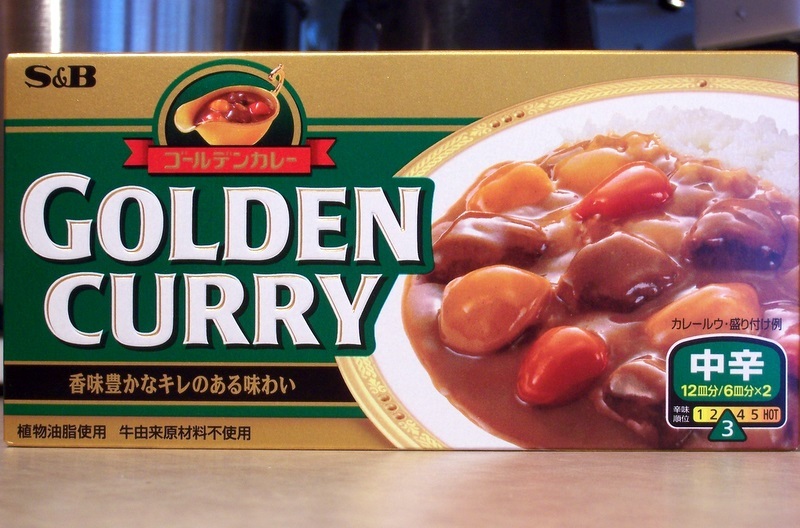 Japanese curry is more like a European stew. You start off by making a roux (cooking flour and butter together) then you add a meat stock to deepen the flavour. Then cook this down for hours and house until you have a thick, dark dark brown sauce. Almost like a meat gravy. You place this dark elixir on top of some Japanese rice and then garnish with your favourite toppings and additives. It wasn't until after curry was made available nationwide in the 1920's as an "instant" mix that it's popularity really started to wise. This made it so housewives could cook curry from pre-made dried cubes which they would rehydrate at home and then add in whatever leftover protein and veggies that they had lying around in the house. Having curry in every household in Japan made the case for serving more and more curries in restaurants around the country and eventually it became a staple of both eating in and out. 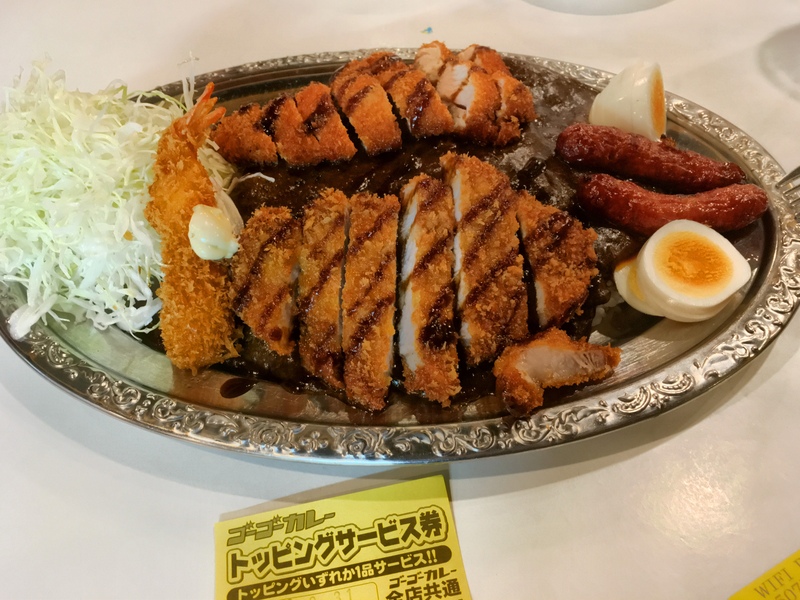 One of the most popular dishes for Japanese curry is katsu karē, curry on rice topped with a breaded deep-fried chicken or pork cutlet. Spices are also critical to making a real Japanse curry. 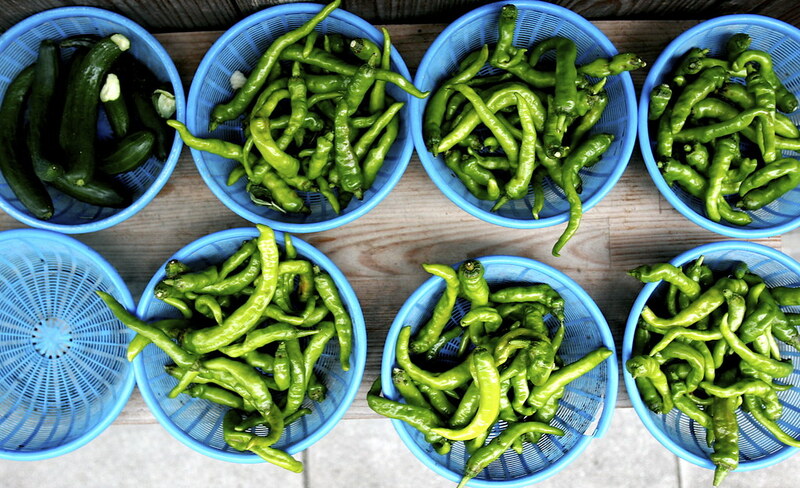 In the summer, Japanse people will make sure to ingest hot and spicy food as it is believed that spices will help cool you down by making you perspire. For this reason, you'll see people hot and spicy curry morning, noon and night - no matter the temperature outside. 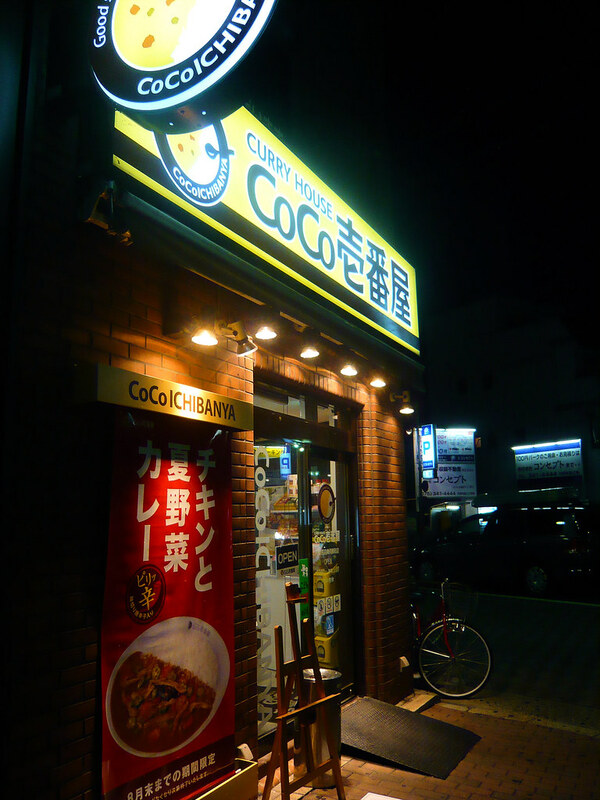 But in my opinion, the best place to get your fill of curry, it at Coco Curry Ichibanya! 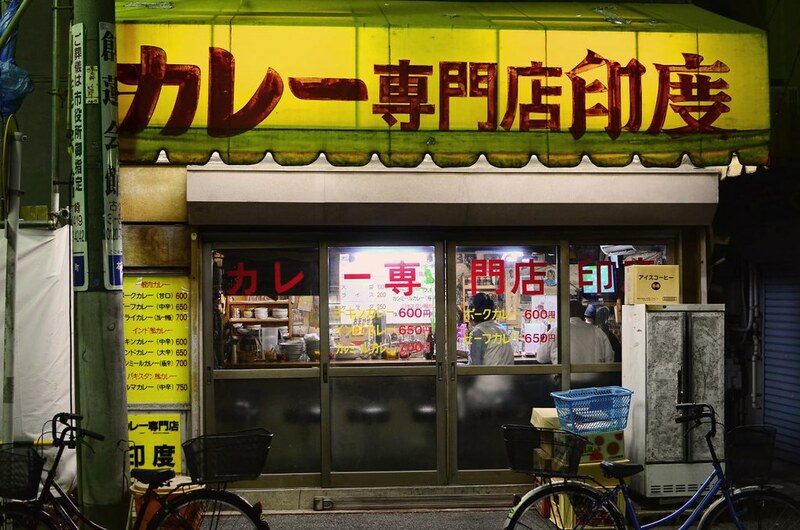 This restaurant has been one of Japan's favourite curry chains since 1978. When you come into the restaurant, you'll be greeted by a friendly host who will seat you at a table. They have a full menu in English, as well as some other languages in the bigger cities, so figuring out your order is pretty simple. First, you select the type of curry sauce you want. There is pork, beef and hashed beef. Next, you can choose how much rice you want. If you go with just a small amount of rice (200 grammes), you'll save about a dollar on your order. Next, pick your spice level. It goes from 1-10, and we found that 2-3 was pretty intense and I'm someone who can handle her spice! But I found that different locations were more or less liberal when applying the spice, so it's a shot in the dark. If you like spice, take the risk, if you want something tame, stick to level one. Next, you pick your toppings. There is a myriad of things you can add into your curry. If you want a piece of protein, you can add a fried cutlet, shrimp or even some sausages. There are also lots and lots of veggies to choose from and even items like cheese, kimchi and garlic bits. These are all priced differently, but the amount is clearly stated beside the ingredient. My standard order was pork curry with chicken cutlet, mushrooms, cheese and garlic bits! 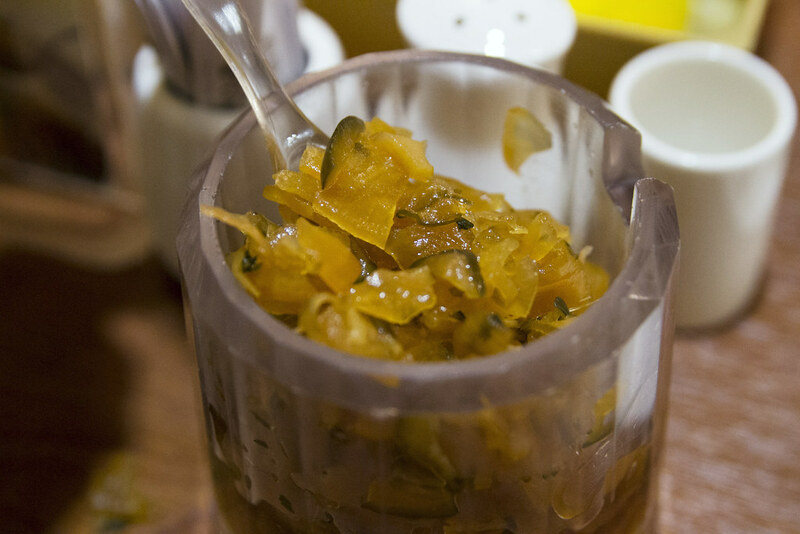 Alongside the curry, are a dish of pickles also known as tsukemono. Tsukemono creates harmony in the meal. It helps counteract the heaviness of those rich ingredients. They are the total umami package, and the vinegar does help cut the heavy fat of the dish in your stomach. 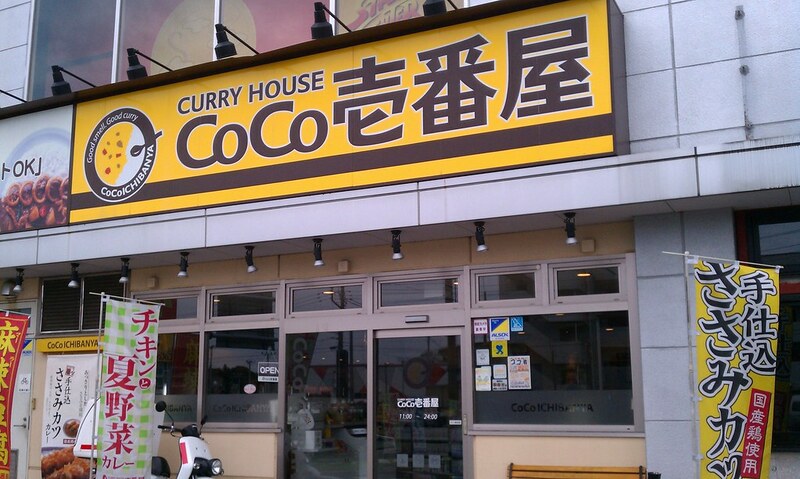 The other amazing thing about Coco Curry House is how they treat to take out. Any meal is available for takeover in the most adorable container, with divers separating each part of the dish. 8-year-old Laura would be so into this. No touching of foods. And they even give you a small little package of pickles, so you're not without your tsukemono. Don't let the dark and, let's face it, rather unattractive platting of the dish fool you. This is a winner! So whenever you're wandering the streets of Japan, try and spot some curry in the window and make a B-line for that place! Give it a try and see what you think. The most you try, the better you get at perfecting your perfect combination of flavours!